The Beetle has matured nicely over the years. Today, it sports a sleeker design that better reflects the true sophistication of what lies underneath its uniquely molded exterior. Last year a convertible model joined the lineup, along with a TDI trim that featured a new turbocharged diesel engine. While the Beetle has grown up since its hippy days, this legendary and internationally beloved compact hatchback still stays true to its roots with an out-of-the-box, dome-shaped design. It also stays ahead of the curve with exclusive tech features and smart convenience amenities. This year, the 2014 VW Beetle offers even more improvements, including a limited-edition GSR model, a new 1.8-liter turbocharged engine and much more. The 2014 VW Beetle is available in Orlando in several different trim levels, including the 2.5L PZEV, 2.0T Turbo, 2.0T Turbo PZEV, 2.0L TDI and Beetle GSR. Shoppers can select a variety of add-ons and custom options. For a compact car, the Beetle offers an abundance of amenities. Standard features like heated mirrors and heated windshield-washer nozzles are a great convenience in cold weather, while height-adjustable heated front seats and air conditioning will ensure your comfort on hot summer days or cooler winter nights. Several high-tech features are also standard: a trip computer will get you to all of your destinations using the best routes; Bluetooth will enable you to make calls hands free; and a sound system with iPod/auxiliary inputs and a CD player will provide entertainment everywhere you travel. 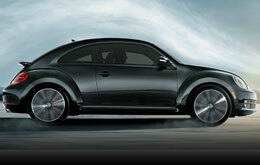 The 2013 Beetle lineup features three advanced engines. All 2.5-liter base trims receive a new 1.8-liter turbocharged four cylinder. Turbo models come standard with a 2.0-liter turbocharged four-cylinder that generates 200 horsepower and 207 pound-feet of torque. Lastly, the TDI gets a 2.0-liter turbodiesel engine that produces 140 horsepower and 236 pound-feet of torque. The 1.8-liter four-cylinder engine can be paired with a five-speed manual or a six-speed automatic, and both turbo four-cylinders can be mated with an acclaimed DSG six-speed dual-clutch automatic or a six-speed manual. 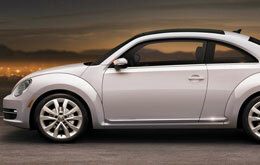 For more information contact David Maus VW South, or continue reading the 2014 VW Beetle review below. We're positive that the Beetle is perfectly built for you. That's why we offer tools that will allow you to compare Volkswagen's most current model against the 2014 Scion iQ, Mini Cooper and the Fiat 500. 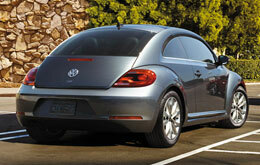 You'll love the Beetle's long list of winning attributes, including its low price and progressive onboard technologies. For Orlando Volkswagen customers who want a spectacular value, just compare this vehicle's price to the opposition and you'll see that it's a worthy investment. Check out our Quick List below for more useful facts! Does the Beetle have what you want out of a vehicle? Check out David Maus VW South's overview above, as well as other 2014 Volkswagen reviews to find the right model for your needs. Veteran automotive writers did hours and hours of research to write the reviews on our site. You can depend on the information in this article to be matter-of-fact and provide you with the details you need to [decide] if you want to own the Beetle. Is the Beetle not right for you? 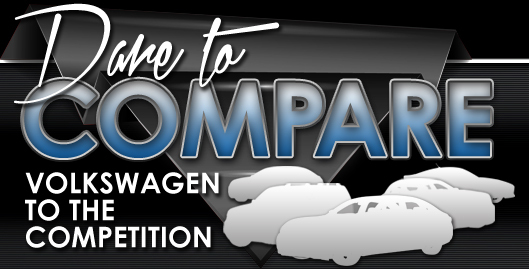 Use our Volkswagen reviews and car comparisons to learn about other award-winning vehicles on the lot at David Maus VW South.